BTN Mondial is a company of the world based in New Zealand. through the encouragement of sustainable partnerships. Funding raised from fees will be ploughed back into the many projects that have funding needs. The beginning of the enable us project and the featured campaign -is from every day questions posed by small businesses, entrepreneurs, students and big businesses as well.. The Question- How do small companies, individuals get funding from big companies, entrepreneurs etc. ?Our Answer a funding platform open to the world- not just any platform but one that has already created a market ready to assist. What kind of market might this be? 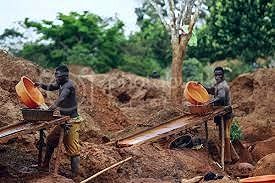 Small scale miners (gold for now) need equipment to further enhance their activities. BTN Mondial has formed a partnership where we will provide the initial equipment to kick start the process and through the good citizens of the world seek the ones we referred to - more funding is needed to assist in erecting a fully scaled up gold processing plant that will allow for beneficiation in the country.